You too can become an expert in your field—you just need to change the ways you practice. The world’s foremost authority on peak performance—the expert other experts turn to—is Anders Ericsson. His concept of deliberate, purposeful practice, honed over decades of trailblazing research, offers a science-backed way to correct mistakes, overcome plateaus, adopt new skills, and achieve mastery in any field. With Ericsson, you’ll learn why experts aren’t born—and how they’re made. The globe’s leading expert on performance, Anders Ericsson is author of Peak: Secrets from the New Science of Expertise (with Robert Pool)—a guide to mastery and excellence at work, school, and sport that condenses three decades of path-clearing research into a new way to think about practice, resilience, dedication and achievement. Instrumental to the “10,000 hours of effort” rule of mastery—made famous, if simplified, by Malcolm Gladwell—Ericsson has also proven indispensable to other luminaries, including Grit pioneer Angela Duckworth, as well as to pro-sports teams like the Philadelphia Eagles, San Antonio Spurs, and Manchester City. Understandably, he’s made cover stories for the world’s top publications, like The New York Times, The Wall Street Journal, TIME, Fortune, Scientific American, and more. For all the buzz around his work, Ericsson is an affable, exceedingly generous speaker. He offers customizable workshops to help teams adapt to new skills and systems, push past natural plateaus, and apply a science-backed, systematized approach to improvement. His approach to purposeful practice isn’t a cakewalk, of course; it involves challenge, sacrifice, and honest self-assessment. But it also helps performers explode myths about in-born genius (that we, too, can be experts! ), and that coaching and mentorship are just as important as mindful struggle. This approach applies to all disciplines. Ericsson’s studied expert performance in domains as disparate as chess, nursing, law enforcement, ballet, aviation, computer programming, firefighting, and beyond—and that means he’s spoken before surgeons, musicians, teachers, clinical psychologists, and athletes, to name but a few groups. The complex cognitive mechanisms and physiological adaptations necessary for true excellence are all developed through Ericsson’s discovery of dedicated, purposeful practice: a concept no one grasps, nor teaches, quite like he does. 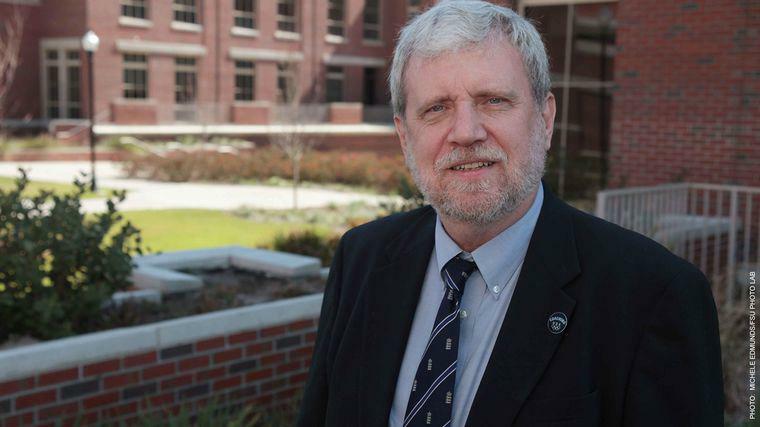 Currently, Ericsson is Conradi Eminent Scholar and Professor of Psychology at Florida State University. He’s a Fellow of the Center for Advanced Study in the Behavioral Sciences, the American Psychological Association, the Association for Psychological Science, and a member of the Royal Swedish Academy of Engineering Sciences. After earning his Ph.D. in Sweden, he collaborated with the Nobel Prize winner in Economics, Herbert A. Simon, on verbal reports of thinking, leading to their now classic book Protocol Analysis: Verbal Reports as Data. His articles run in Science, Academic Medicine, Psychological Review, Psychological Bulletin, Academic Emergency Medicine, Current Biology, and Trends of Cognitive Science. And his studies of performance have been translated into volumes like the influential Cambridge Handbook of Expertise and Expert Performance (consisting of over 40 chapters and 900 pages) and the recent Development of Professional Expertise. The new science of expertise shows that individuals with superior performance were also once beginners themselves, with only modest abilities. This includes prodigies—exemplars of sport, music, chess, literature, mathematics, and beyond. According to Anders Ericsson’s years of research, these individuals improved over time with purposeful and deliberate practice—and this kind of practice can change virtually any aspect of performance. In this keynote, psychologist Anders Ericsson leads audiences through a tour of peak performance, explaining how his original insights can be applied by anyone looking to improve performance in the arts, sciences, and other professions. He also describes why people reach plateaus in their performance, and how these pauses can be overcome with the appropriate exercises. It’s often assumed that individuals with superior performance rely primarily on intuition, attained through extended time in any given profession. New research shows that once most people attain an acceptable level of ability, their performance becomes effortless at the same level. In other words, it plateaus. In contrast, expert performers—the very best among us in all fields—follow a different path, where, with the help of teachers, they continuously identify aspects of their performance that can be improved with known and repeatable training techniques. In this presentation, Anders Ericsson will describe how these methods have improved performance in many domains of expertise, art, science, and other professional fields. Are You Wasting Your 10,000 Hours?